You can download Monitor as a pdf file from https://www.windmill.co.uk/monitor/monitor214.pdf. * Windmill Question: Which Software is Similar to Hyperterminal? Details on entering the configuration settings for a Rice Lake CW90 balance into ComDebug are below. To change the balance settings use its Setup Menu - Serial - Port. These must be the same as your balance uses. These are the default factory settings for CW90 balances. Use the non-print menu to enter the carriage return (013) and linefeed (010). For simple logging from one instrument you can use the ComDebug program. For more logging options from many instruments use the Windmill Logger program. Windmill Question: What Software is Similar to Hyperterminal? I am trying to emulate hyperterminal. What software is similar please? Windmill ComDebug is serial communication software lets you communicate with almost any instrument connected to your PC's COM or TCP/IP port. 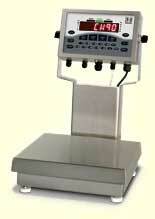 Its extensive trouble-shooting capabilities make it ideal for either solving comms problems or for simple data logging. You can enter and display data in Hexadecimal, ASCII or binary format. 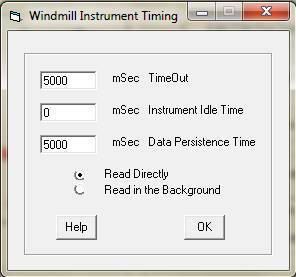 When you use Windmill Logger to record data, it timestamps every reading. You can choose the format of the timestamp, for example Date and Time or Number of Seconds since start. Supposing you choose Date and Time and later come to analyse the data in Excel. If you were recording air temperature the data might look something like this. You can now copy this down to give the day for all dates. You can now proceed to analyse whether there is significant difference in data for different days of the week. From the Format menu select Cells. Choose Custom and enter dddd as the type. This has the disadvantage, though, that you now can't see the date to which the day belongs. 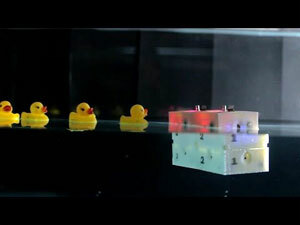 Researchers have created small, lego-like, underwater robots that could help in search and rescue missions. The pipes powering the internet are nearly full - what do we do? In today's world there are more devices monitoring a multitude of physical processes in interconnected global digital networks, such as drones, autonomous cars, industrial robot chains and intelligent trains. Now a European research project is attempting to improve and speed up the certification processes used to accredit the proper functioning of these devices. Researchers have developed an integrated, wearable system that monitors a user's environment and physical attributes to predict - and prevent - asthma attacks.